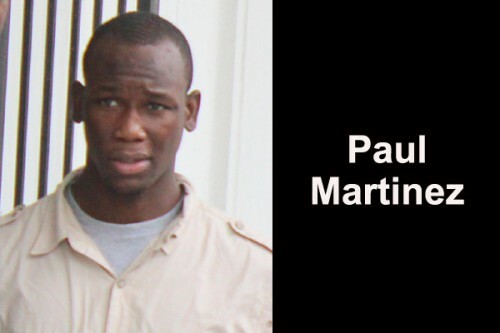 Paul Martinez, 20, had his murder case committed to the Supreme Court today after he appeared before Chief Magistrate Ann Marie Smith. Martinez is accused of fatally stabbing Raheem Smith, 18, last year after the two allegedly got into an altercation over a bicycle. According to police, just before 2:00 p.m. on July 19, 2012, Smith and Martinez were in a yard with other teens when the two got into an argument over a borrowed bicycle. The argument intensified, and led to Smith punching Martinez in his face. Martinez then left the area, only to return with a long-bladed knife with which he allegedly inflicted the stab wound to Smith. Since being arrested on July 23, 2012, Martinez has been on remand at the Belize Central Prison. Today, after police prosecutor Sgt. Egbert Castillo presented his evidence, the Chief Magistrate committed the case to the September 16, 2013 session of the Supreme Court. Handed over in the “bundle” today were eyewitness statements; photographs of the crime scene and autopsy; the autopsy report from Dr. Mario Estradabran; a chain of custody form; and other statements and reports pertaining to the case. When asked if he had any witnesses to present, Martinez responded that he had no witnesses and that he wanted his case to go to the Supreme Court.